It is understandable when parents become exasperated with children and teens who misbehave at home and resist learning in school. Often, out of desperation, parents resort to lecturing, scolding, shouting, and even medicating their children in a fruitless attempt to gain control over their child. Over medicating children is an epidemic in this country. Some as young as two years of age are being treated improperly with medication for behavior problems. subdue bad behavior rather than correcting or replacing it. I teach parents methods that will help them cultivate new positive behaviors in their children. At the same time, coping with and correcting preexisting bad behavioral patterns. The goal is to empower parents with the skills and understanding to improve their relationship with their child. This also helps prevent new rebellious behavior cultivated by negative influences outside the home. 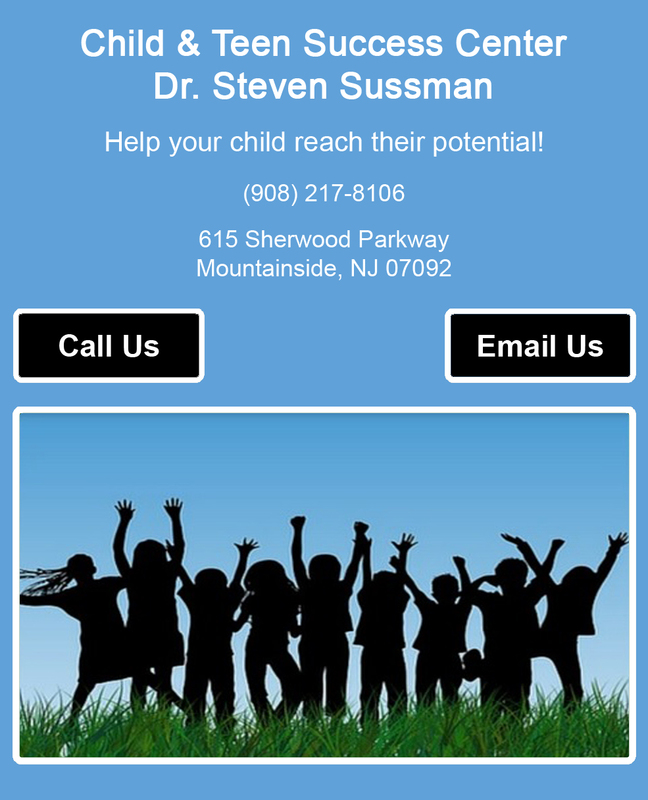 Dr. Sussman is a child discipline psychologist with years of experience. Find out how a behavior chart and positive behavior reinforcement can make a big difference in your child's behavior. Contact our CBT psychologist to for a consultation appointment to discuss cognitive behavioral therapy and other behavior methods that can help your family tremendously. (908) 217-8106 to reach an experienced child discipline psychologist. Discuss with our CBT psychologist how a behavior chart and positive behavior reinforcement can help your family. Call for more information on cognitive behavioral therapy.